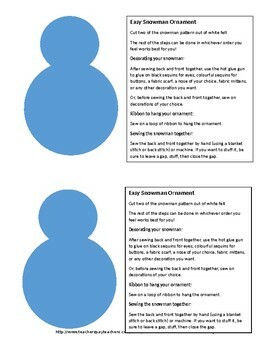 A super easy pattern to make a snowman ornament out of felt and embellishments. Can be done using hand sewing. Glue gun optional. Can be as complex as you'd like so it is appropriate for many grade levels.